We released the United States Public Participation Playbook this week, a new open resource agencies can use to evaluate and build better programs that give a voice to the people they serve—and the response was fantastic. Public servants and citizens around the world have shared it, and already are contributing new ideas that build from the work of the team of 70 federal leaders, more than a dozen engagement experts, and citizens themselves who worked together to launch it. Many are asking if their contributions are welcome, not just for content, but to help improve the delivery itself with code and design so it can be as accessible, efficient and effective as possible. 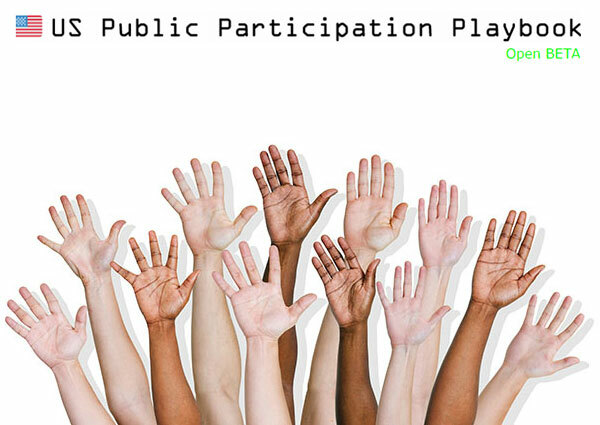 Today we release the U.S. Public Participation Playbook on GitHub. After all, the playbook aims to help agencies work with the public to shape more effective programs. We welcome you onto our team in our efforts to not only produce a resource for public participation, but also to create it through public participation. Here’s an added challenge. New resources would be valuable demonstrating how agencies can better create opportunities for civic coders and designers using public participation from the playbook. If you’d like to help build that, please share your ideas on GitHub. We look forward to continuing working side by side with you to build a more open, responsive and engaging government.